10. 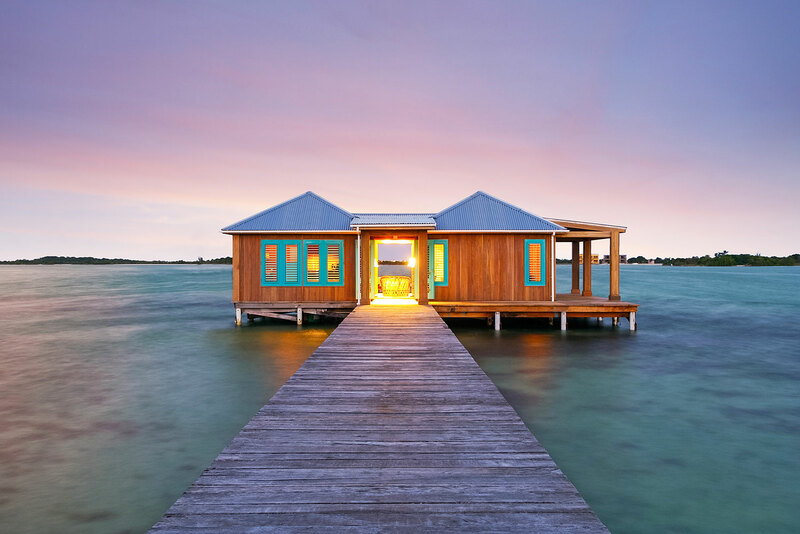 Over-water bungalow Cayo Espanto, Belize: For the final home on the list I wanted to add a listing I’ve yet to visit, but would love to one day. Belize has been on my destination radar for years and this house has captured my attention! The luxurious Casa Ventanas is a one bedroom, over-the-water bungalow that’s enveloped on all sides by the Caribbean. Located on the exclusive private island resort of Cayo Espanto, the home obviously offers incredible exclusivity and relaxation, though it's still very accessible to the mainland, via short boat or helicopter rides. At this high price point ($1,978 per night), it's one to save away for a big celebratory event, and it’s exactly the kind of bucket-list destination that keeps us motivated to find the most incredible Airbnb vacation rentals around the globe. 1. Unique palazzo Barcelona, Spain: In the middle of a harsh US winter a few years ago, my wife and I flew to Barcelona for a short holiday. It was before I had actually started at Airbnb, but I was already far along in the interview process, and this experience convinced me that Airbnb can offer a truly unique and magical experience that’s unlike any other kind of travel. Our host was Fernando, an MBA student who rents out his family’s incredible apartment in an 18th-century palace that’s around the corner from the Plaza Catalunya. More importantly, it was very close to our favorite dinner spot, Cal Pep. The space is stunning: 6-meter-high ceilings, original frescos, mosaic floors and a private, sunny garden. Fernando checked in on us a few times, gave us some of his local ins-and-outs and walked us through the apartment’s high-design renovation. We've been to Barcelona many times, but never like this. 3. Dream stay for kids and big kids at heart Orlando, USA: Florida, and more specifically Orlando, is a massive US market for vacation rentals, so after a few months at Airbnb, I felt like I had to visit to learn more about the area first hand. One of the hosts we met said something that has stuck with me ever since; "In Orlando, you don't just focus on making the adults happy, though of course that's important, but what really drives repeat business is the kids. We make sure that the home is a child's dream come true, so the day the kids return home, all they do is demand to come back again soon." You can get a sense of what he means by looking at this house, which has a Despicable Me-themed bedroom, a Star Wars-themed screening room and game room filled with video games, air hockey and foosball. The big kid in me demanded a return trip ASAP! 4. Sweet sunshine cottage Mount Martha, Australia: I can't help it, I have to plug my hometown. My parents split their time between South Melbourne and a country home in Merricks with a small group of wayward chickens and the occasional kangaroo. Nowhere in the world feels more like home to me than Merricks—it's where I truly belong. I love watching the Airbnb concept spread globally, especially when incredible listings like this one pop up close to home. Just don't tell my family I am considering booking here instead of staying with them! 5. 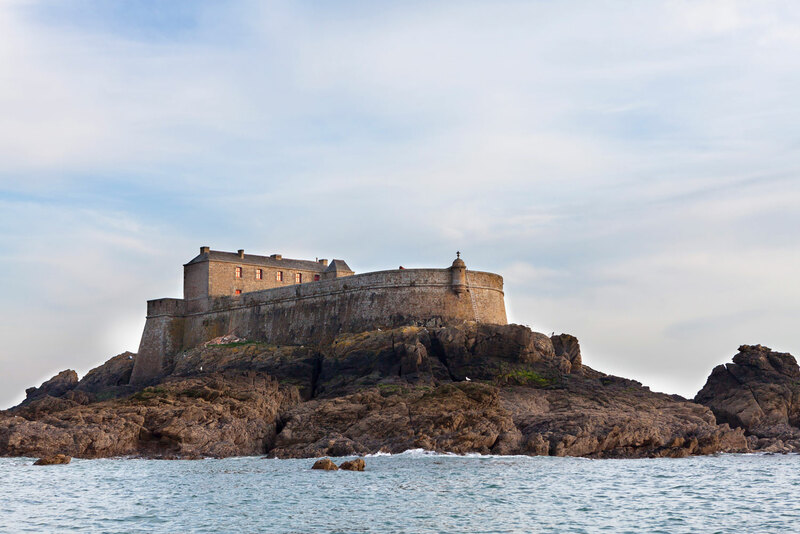 Fort du Petit Bé Saint-Malo, France: Hosts in vacation rental markets vary greatly from young budding entrepreneurs to retirees developing post-employment income. To understand all of the personalities and variations, I travel around the world to talk with hosts. One of the most memorable trips was to St Malo, France, where you can stay at a 16th century fort on an island a few hundred metres from shore. Earlier in the day we held a happy hour at a local tavern in the area to meet hosts, hear their stories and ensure we continue to serve them well. I met mother and daughter teams, widows, retirees, college graduates and even a tugboat master, and all of them had connected through the Airbnb community. There were hugs, tears and a lot of very detailed conversations about how Airbnb had changed their lives— hearing those stories impacted me both personally and professionally. That's what makes Airbnb different. 8. 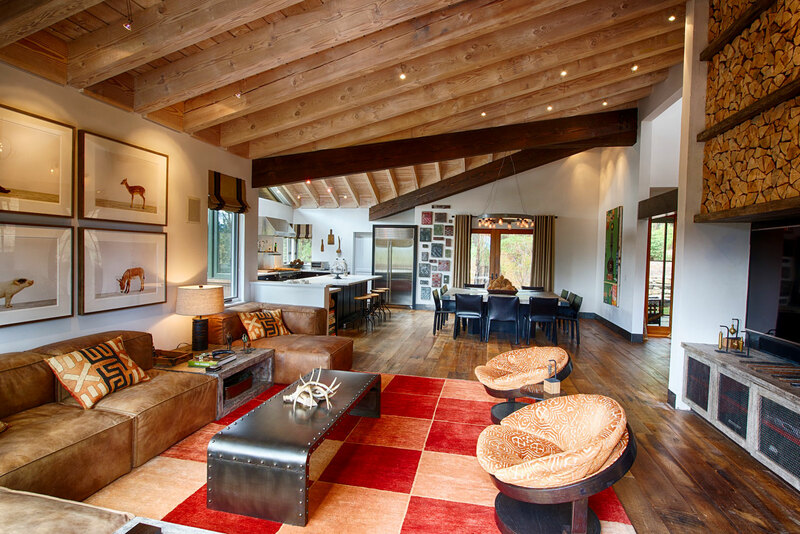 Exceptional Tahoe home Truckee, USA: I'm a self-proclaimed car nut and I have been lucky enough to experience some of the world's most amazing drives — the Great Ocean Road in Australia, Highway 1 through Big Sur, I even got engaged while driving the Scottish highlands from Fort William to Applecross. More recently, I discovered the incredible Highway 50 drive from San Francisco to Tahoe; it's a stunning mountain pass. On a recent trip up to Tahoe, we stayed at a listing that was perfect for a large group getaway. It puts you in striking distance of all the best summer activities at Tahoe, whether you want to rent a boat for the day on the lake, hop on a helicopter for a sunset flight, or just explore the food and shops in the town of Truckee. 9. 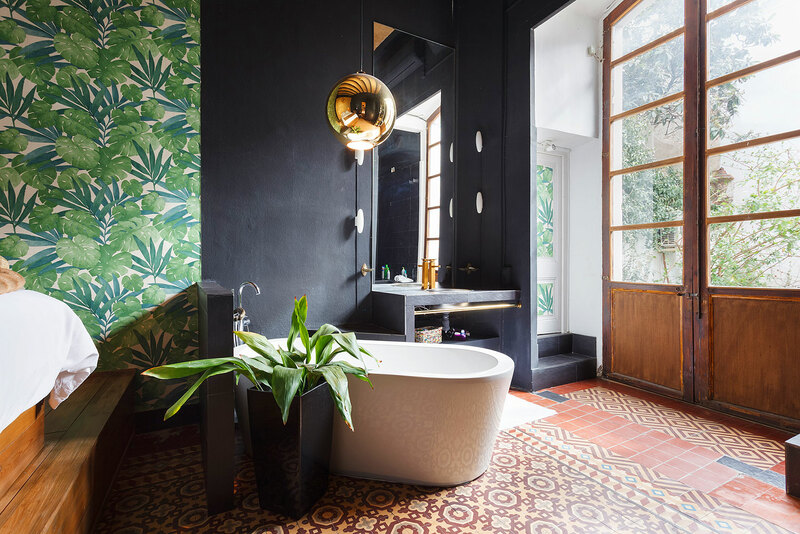 Boutique villa with pool Dubrovnik, Croatia: I was actually in the middle of a ten day sailing trip around Croatia with my brother and our adventure-seeking wives when I received my first email from Airbnb’s recruiting team. To be specific, I was actually touring the beautiful city of Dubrovnik, which is jam-packed in the high season (Game of Thrones, which shoots frequently in the city, has only added to its popularity.) That’s why this villa, walking distance from the old city, but in a quiet, elite neighbourhood, is such a find. Overlooking the Adriatic Sea, the nearby island of Lokrum and historic old city, the villa is surrounded by cypress trees and impeccable gardens, it was an ideal place for relaxing and exploring the region. Did I mention it’s also five bedrooms and only $500 a night? 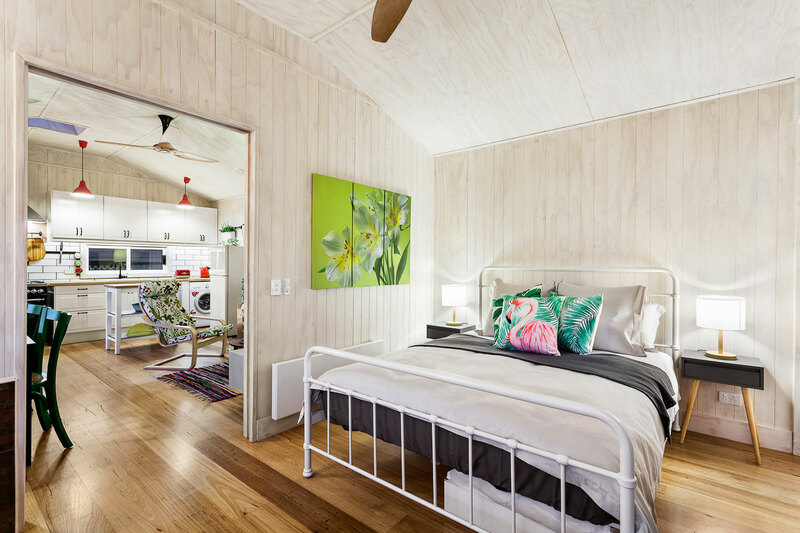 It comes as no surprise that with over 1.5 million lodgings around the globe, accommodation booking website Airbnb, isn’t short of an impressive stay or two. In fact, the $US25 billion San Francisco based company now offers properties in over 34,000 cities worldwide (1400 of which are castles). So when it comes to selecting a bucket-list stay, the options are, shall we say, overwhelmingly varied. But if anyone knows their way around Airbnb’s ‘My Wish List’ feature, our money is on the highest ranking Australian in the organisation, Shaun Stewart. From night porter at Melbourne Hilton to waiting tables at the Grand Hotel Zermatterhoff, hotel school in Swtizerland and several years with travel-booking website Expedia, the humble 36-year-old now heads up Airbnb’s global vacation rentals. In the middle of a harsh US winter a few years ago, my wife and I flew to Barcelona for a short holiday. It was before I had actually started at Airbnb, but I was already far along in the interview process, and this experience convinced me that Airbnb can offer a truly unique and magical experience that’s unlike any other kind of travel. Our host was Fernando, an MBA student who rents out his family’s incredible apartment in an 18th-century palace that’s around the corner from the Plaza Catalunya. More importantly, it was very close to our favorite dinner spot, Cal Pep. The space is stunning: 6-meter-high ceilings, original frescos, mosaic floors and a private, sunny garden. Fernando checked in on us a few times, gave us some of his local ins-and-outs and walked us through the apartment’s high-design renovation. We’ve been to Barcelona many times, but never like this. Although I’ve lived in the US for almost 15 years, I still keep up to speed on European soccer and Aussie rules. During a recent work trip to Paris, I changed my flight at the last minute so that my brother could fly in from London to watch Barcelona take on Juventus in the Championship League Final with me. 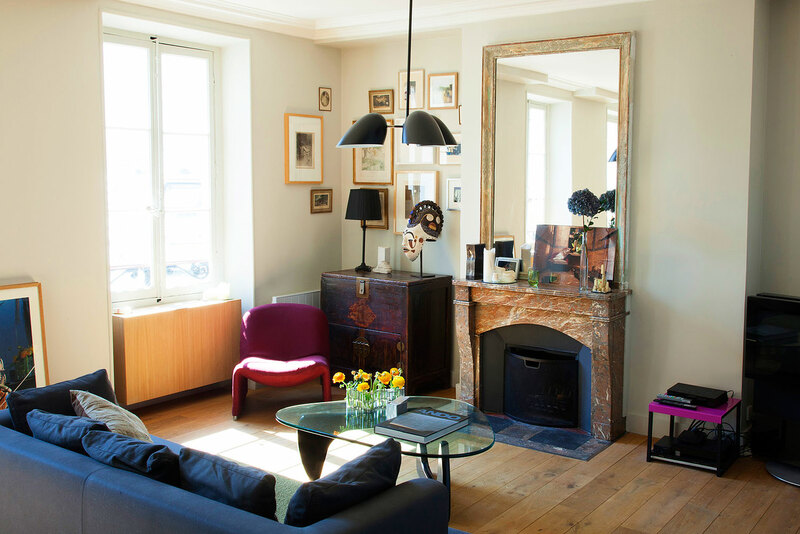 The final was average but the apartment was not; nestled in a hidden courtyard far from the buzzing of scooters, Cedrick’s place is a contemporary, yet classic Parisian apartment in an early 19th-Century building. It wasn’t just the layout or the fridge with a note “For those emergency situations” that made it my kind of place – the look of the home was really unique, with fascinating collectibles Cedrick had amassed over the years. Florida, and more specifically Orlando, is a massive US market for vacation rentals, so after a few months at Airbnb, I felt like I had to visit to learn more about the area first hand. You can get a sense of what he means by looking at this house, which has a Despicable Me-themed bedroom, a Star Wars-themed screening room and game room filled with video games, air hockey and foosball. The big kid in me demanded a return trip ASAP! I can’t help it, I have to plug my hometown. My parents split their time between South Melbourne and a country home in Merricks with a small group of wayward chickens and the occasional kangaroo. Nowhere in the world feels more like home to me than Merricks—it’s where I truly belong. I love watching the Airbnb concept spread globally, especially when incredible listings like this one pop up close to home. Just don’t tell my family I am considering booking here instead of staying with them! Hosts in vacation rental markets vary greatly from young budding entrepreneurs to retirees developing post-employment income. To understand all of the personalities and variations, I travel around the world to talk with hosts. One of the most memorable trips was to St Malo, France, where you can stay at a 16th century fort on an island a few hundred metres from shore. Earlier in the day we held a happy hour at a local tavern in the area to meet hosts, hear their stories and ensure we continue to serve them well. I met mother and daughter teams, widows, retirees, college graduates and even a tugboat master, and all of them had connected through the Airbnb community. There were hugs, tears and a lot of very detailed conversations about how Airbnb had changed their lives— hearing those stories impacted me both personally and professionally. That’s what makes Airbnb different. My wife enjoys testing all my fears in hilarious but dangerous activities. Last year’s surprise was flying in an open cockpit 1920’s biplane over Pismo Beach in California. This year she took it to a new level by taking me to South Africa to cage dive with Great White sharks in the infamous Shark Alley. It really felt like a near-death experience, but returning back to an incredible villa like The Falcon eased my frayed nerves and brought my heart rate back to normal levels. It’s the ultimate Camps Bay location, with a jaw-dropping view of the sea and the 12 Apostles. With prices just around $400 a night (for 3 bedrooms), it beats hotel prices without fail. Moving from New York to San Francisco means you lose easy access to the Caribbean but gain Hawaii as a beach getaway. I’ve been eagerly exploring Hawaii, where each island delivers it’s own unique experience. Situated on my favorite island of Maui, this plantation cottage shares a two-acre property and is a horticulturist’s dream; the grounds are filled with gorgeous royal palms, papaya, mango and avocado trees, black and yellow bamboo, and plenty of other tropical plants to investigate. If you haven’t eaten a mango straight from the tree, you really have to try it. I’m a self-proclaimed car nut and I have been lucky enough to experience some of the world’s most amazing drives — the Great Ocean Road in Australia, Highway 1 through Big Sur, I even got engaged while driving the Scottish highlands from Fort William to Applecross. More recently, I discovered the incredible Highway 50 drive from San Francisco to Tahoe; it’s a stunning mountain pass. On a recent trip up to Tahoe, we stayed at a listing that was perfect for a large group getaway. It puts you in striking distance of all the best summer activities at Tahoe, whether you want to rent a boat for the day on the lake, hop on a helicopter for a sunset flight, or just explore the food and shops in the town of Truckee. I was actually in the middle of a ten day sailing trip around Croatia with my brother and our adventure-seeking wives when I received my first email from Airbnb’s recruiting team. That’s why this villa, walking distance from the old city, but in a quiet, elite neighbourhood, is such a find. Overlooking the Adriatic Sea, the nearby island of Lokrum and historic old city, the villa is surrounded by cypress trees and impeccable gardens, it was an ideal place for relaxing and exploring the region. Did I mention it’s also five bedrooms and only $500 a night? For the final home on the list I wanted to add a listing I’ve yet to visit, but would love to one day. Belize has been on my destination radar for years and this house has captured my attention! The luxurious Casa Ventanas is a one bedroom, over-the-water bungalow that’s enveloped on all sides by the Caribbean. Located on the exclusive private island resort of Cayo Espanto, the home obviously offers incredible exclusivity and relaxation, though it’s still very accessible to the mainland, via short boat or helicopter rides. At this high price point ($1,978 per night), it’s one to save away for a big celebratory event, and it’s exactly the kind of bucket-list destination that keeps us motivated to find the most incredible Airbnb vacation rentals around the globe.